Chan-Wook Park's Y2K hit, Joint Security Area launched careers and broached the sensitive issue of the Demilitarized Zone (DMZ) the area that separates North and South Korea. His latest film, Sympathy for Mr. Vengeance reveals another aspect of the political/social climate there. With the help of an appointed-Korean-English interpreter and my multi-talented friend Sang-Eun Kim who helped with the translation/transcription I was able to speak with Park last summer. Q: What was the inspiration for this film? CWP: Society's view on kidnapping is very negative, but I wanted to show that it could have other aspects. Ryu (Ha-Kyun Shin) and Young-Mi (Doona Bae) kidnap a child from a rich family because they need money. Young-Mi's argument is that there are good kidnappings and bad ones. Ideally, if good people kidnap a child, treat the child well and later return her safely then no one is harmed. The wealthy family can afford to spend the money and since the family doesn't see each other for a time there's a strong feeling of happiness and appreciation when they re-unite. Q: Your films usually have a political element. In Sympathy for Mr. Vengeance, some of this is demonstrated through the young activist (Bae). What are you trying to communicate about the political situation in Korea? 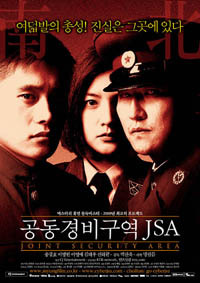 CWP: In JSA (Joint Security Area) I wanted to show the relationship between North Korea and South Korea, but in this film I focused on the class struggles within South Korea. I wanted to show the animosity between the classes. Blue-collar workers always think that they are being taken advantage of, but owners aren't always bad people. However, there is an impossible gap between being a good person and a good businessman in a Capitalist system. If a company isn't doing well, the good person will try to lay-off only a few people instead of closing down and putting many out of work. In the film this action backfires. One of the men commits suicide because of the lay-offs and then his family kill themselves. This happens in Korean society and we need to be aware of it. Q: Tell me about the Organ Dealers. CWP: I exaggerated this area as a negative side of Capitalism. The Organ Dealers are depriving people of something necessary for life. Although the scenes are exaggerated in the film, this (organ stealing) does actually happen in Korea. Q: Did the success of Joint Security Area open a lot of doors for you? CWP: If it hadn't been for JSA, I would have never been able to get Sympathy for Mr. Vengeance released, which was one of my dreams. JSA is like a gift. Q: You've been working on Sympathy for Mr. Vengeance for the last five years and prior to JSA. What was the response to Sympathy in Korea? CWP: Everybody liked JSA, but Sympathy was more bi-polar. Some people liked it, but some people really disliked it and after the film they'd even throw up. On the film website in the guest book some people wrote, "This is the best movie ever made in Korea," but others wrote, "I'm so shocked by what I've seen, I want to kill the director." I had no idea people would react that way. Of the two films, I prefer Sympathy and wish people would be a little more receptive to it. Q: Does the government subsidize film arts in Korea? CWP: There's not a lot, but there's one positive thing that the government's involved in right now. They are requiring that Korean movies be played for a certain amount of time in the cinemas. Hollywood movies just take over, resulting in no one showing any Korean films. Hollywood wants Korea to remove that law, but I think that law is very important because Korean movies represent Korean culture and Korean society. Q: You have been compared to Seijin Suzuki and John Woo. CWP: (Laughter) John Woo's such a big star. I don't have anything in common with him. I really like Suzuki. I interviewed him and wrote an article about him. CWP: Right now I've got three stories in my head, but I haven't made a decision. Before I leave Seattle, I'm going to pick one of them.